Driving while intoxicated (DWI) charges carry serious consequences that can put a significant financial burden on you and your family as well as cost you your freedom and future employment opportunities. With the stakes so high, you need aggressive legal help. These legal consequences can lead to other negative outcomes—like job loss if you are not able to get to/from work every day or limited employment opportunities because employers are hesitant to hire someone with a DWI conviction. You must request an MVD hearing to dispute your license revocation, which requires a $25 fee. You must pay for the installation of an ignition interlock device, which costs about $100 plus a monthly lease for the equipment, which runs between $50 and $100. You must request a hearing to dispute a vehicle seizure by the City of Albuquerque; the hearing fee is $50. These costs may come at a time when you are losing income because jail time, community service and/or probation for DWI necessitate missing work. If you have been arrested for DWI, you have the right to fight the legal consequences. An experienced DWI criminal defense attorney can help you by investigating the circumstances surrounding your arrest and building an effective case to get charges reduced or dismissed. 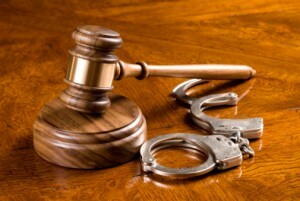 The DWI defense attorneys at the Law Office of Mark Keller have more than 80 years of combined experience. They understand administrative processes involved with DWI consequences as well as the criminal justice process. They will help you understand the possible legal consequences and your options to protect your rights and your future. For aggressive DWI defense, contact the Law Office of Mark Keller to schedule a free consultation. If you have been arrested for DWI, you may face more than the legal consequences. Call (505) 842-1440 for a free consultation with an experienced DWI defense lawyer.